Whether Prolo Therapy safe ? How is Prolotherapy effectiveness ? Online Pharmacy Checker medicine remedies Whether Prolo Therapy safe ? How is Prolotherapy effectiveness ? Prolotherapy or prolo therapy is a technique of an innovative treatment that aims to reduce pain by affecting and provide a healing impact directly on the area/cause of the pain. Action treatment of prolo therapy in the form of injections several times the liquid that is an irritant into the joint or to the tendons and ligaments (connective tissue). The liquid irritant that is used commonly is a liquid sugar (dextrose), aimed at stimulating growth and healing on the area of defect/complaint, so that in the end is expected to reduce the pain. The origin of innovative therapies is derived from an osteopathic physician and surgeon, Dr. Earl Gedney (of the 1930s). Dr. Gedney conduct research and their own experiments after getting the injury on the thumb of his hand. The condition that threatens his career as a surgeon. Experiment with methods of prolotherapy finally able to rehabilitate the condition of his thumb fully. Whether Prolotherapi safe ? How is its effectiveness ? Different methods of therapy to another, the effectiveness of prolotherapy based on research showing ± 80% of patients treated with treatment of prolotherapy reported the results of good or very good. The treatment of prolotherapy is quite safe and has long-term effectiveness. What Is The Purpose Of The Treatment Prolotherapi ? How is the Principle or Mechanism of action Prolotherapi ? The principle or the working mechanism of prolotherapy is to stimulate the occurrence of inflammation the level of mild and transient at the injection site, activating the cells of the inflammation to the area and trigger the formation of a network of new collagen which will strengthen the connective tissue. Some chemical reactions will occur on the inflamed area due to injections in the treatment of prolotherapy which ultimately trigger the growth of new cells and repair tissue that has been damaged. When soft tissue is injured, will arise inflammation in the surrounding as a natural response of the body. The process of inflammation will stimulate the substances in the blood to produce substances that growth is important to the healing process. Ligaments, tendons and cartilage get blood supply very little, so that the healing process is often not perfect due to deficiency of substances needed . The inflammation process will also be interrupted if the patient taking medications anti-inflammatory such as Ibuprofen, naproxyn, or a prescription nonsteroidal anti-inflammatory drug (NSAIDS) to reduce pain and swelling in the tissue. A solution of dekstrose concentrated with a little addition of local anesthetic injected into the ligament, tendon, or joint capsule that are experiencing abnormalities or complaints. This fluid not only acts as a nutrition, but also stimulate the body's natural ability to repair tissue, promotes the growth of ligaments or tendons. Different with the injection of corticosteroids are sometimes administered to suppress inflammation and reduce chronic pain, prolotherapi precisely gives the effect of a permanent good in repairing damaged tissue. Some combination of treatment or treatment, will encourage the growth of additional tissue to restore and strengthen the affected area. What Is The Procedure Of The Implementation Of Prolotherapy ? The procedure of prolotherapy requires time that is not long for each time. Starting from the preparation, inoculation and recovery time is only around 30 minutes. This method can be done in the clinic, without the need for surgery, without general anesthesia and without prolonged recovery periods. Even many people who re-do work activities or their activities after the procedure is prolotherapy. Penyuntikan cairan nutrisi ini dilakukan setiap 2-6 minggu sekali sampai proses penyembuhan yang diharapkan telah lengkap dan pasien dapat beraktivitas kembali tanpa rasa nyeri. What is the Impact of this therapy ? After prolotherapy the early stages, can arise swelling and stiffness of mild and temporary. 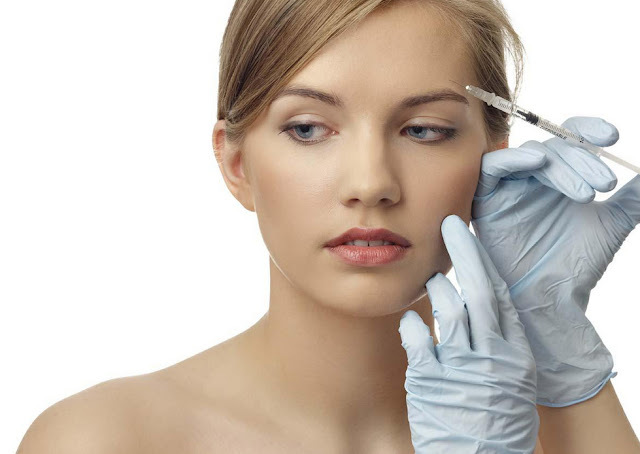 Some patients complain of pain that seemed to get better after the injections until a few days afterwards, but some patients are other to feel a noticeable improvement after the first session finished. The process of swelling and inflammation that occurs is temporary and will heal and subside after 3 days along with the healing process of the tissue which suffered damage earlier. After a few sessions of prolotherapy, will be achieved a permanent cure so that it is able to return physical activities like before experiencing abnormalities.